Quantum mechanics sets fundamental limits on the amount of information one can extract from a system with a single set of measurements. Recent results of new theoretical analyses and optical experiments have given rise to a more complete knowledge of the quantum properties of light. This book gives the first detailed description of this fascinating branch of quantum optics. 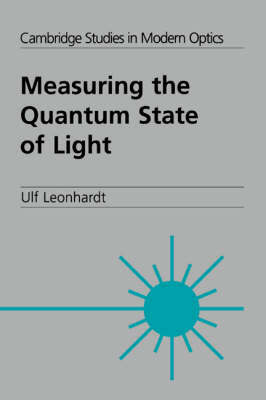 This self-contained book begins with a description of some key results and tools from quantum optics. The author discusses the quantum mechanical description of simple optical instruments before giving a detailed treatment of quantum tomography. The book concludes with a chapter devoted to the problem of the simultaneous measurement of position and momentum. This book will appeal to graduate students and researchers in quantum optics, as well as anyone interested in the foundations of quantum mechanics or more general problems of quantum measurement.